It always starts with that first “harmless” cigarette. As a young fellow in high school, a fellow student encouraged or maybe coerced and intimidated you to try one. Or maybe, you are the young lady who grew up watching her mom smoke a pack a day, ever-insistent that she “can quit anytime.” Unfortunately, she never seemed to want to quit bad enough. If you were drawn – sometimes innocently – into this cycle of nicotine addiction, then you can be helped at Sean’s Massage Center. For the smoker who wants to kick the habit but can’t seem to do it, Sean’s Massage Center is the place where you can relax and unwind while Sean works your body so that you can overcome addiction to nicotine very smoothly. If you feel you need some rejuvenation and healing, then Sean’s Massage Center is just the prescription you need. Sean’s staff uses a number of time-tested methods to help people overcome many types of addictions. For example, Reflexology is a proven technique. It has far-reaching results in dealing with other maladies as well because it addresses the natural balance of the entire body, in some ways, more than a massage. Sean’s Massage Center strives to make their clients feel comfortable when they visit. The staff uses Aveda oil on a warmed massage table with soft music playing in all services. Some of Sean’s specialties include full body massages, couples massages, reflexology, heated stone therapy, and other techniques that can be used by a recovering smoker. 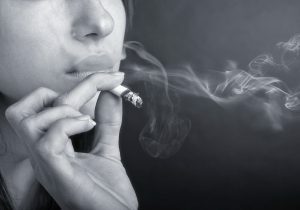 The root cause of smoking and other addictions is often on an emotional level. Massage therapy can soothe your emotions and restore a sense of balance. Acupuncture must be administered by a professional practitioner. It utilizes natural pressure points (also called acupoints) on the human body to alleviate the cravings that are associated with the withdrawal process. By stimulating the natural “acupoints” on the body, certain underlying tensions are eased, and it can help detoxify the body. To schedule an appointment or receive our promotional material, you can call our clinic at (614) 327-4338, or go to the “Appointments” request page on our website. The details of your appointment will be confirmed by email. If you have any questions about this or other procedures, they will be answered. Sean’s skills have provided rejuvenation services to men and women in the Columbus area for over 19 years. Call to schedule your appointment for a therapy session right away. There are two convenient locations to better serve the people in his region – Dublin/Upper Arlington and Pickerington.